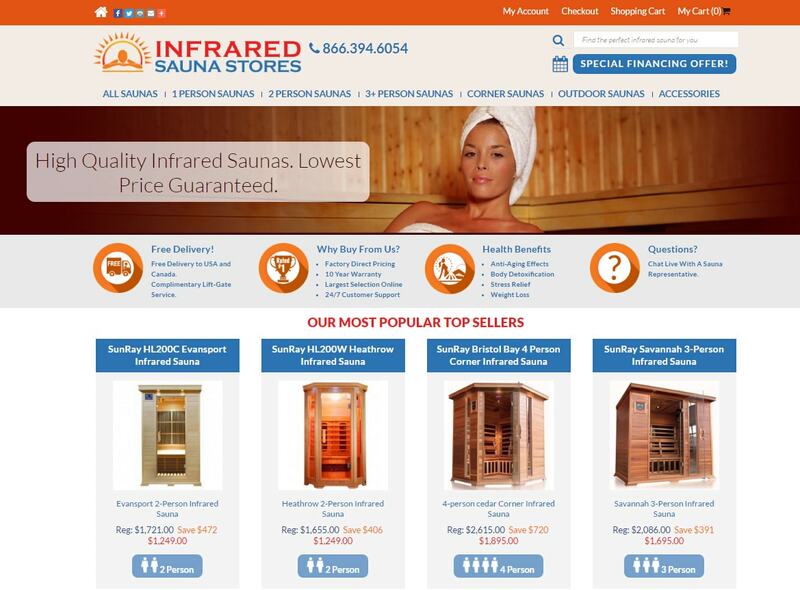 VISIONEFX provides web design in Mechanicsville, VA. Infrared Saunas Store is a custom E-Commerce website featuring hundreds of infrared saunas and accessories. The website was developed in Joomla website CMS and Open Cart online shopping cart. Infrared Saunas Store has offices located in Mechanicsville, VA.
VISIONEFX provides ecommerce development to as small to medium businesses throughout the USA. Call: (757) 619-6456 or email info@visionefx.net. Read our top reviews posted on Google My Business pages.